Does anyone else love Thanksgiving like I do? Christmas used to be my favorite holiday, but Thanksgiving is giving it a run for its money. Probably my favorite thing about this holiday is knowing that I often get to spend it with my family and also friends who have become like family. And I think we’d all agree that the food is the best part. Especially the Thanksgiving Sides that often steal the show. Personally I’m a mashed potato fanatic. Like I could probably scare you with the volume of mashed potatoes I can put away. My sister and I know this about ourselves and really have to pace our eating. Fist world problems here, I know! But I’m a giant fan of all food and all sides, and I wanted to share my favorite dishes that would be perfect for your Thanksgiving sides! And since it’s the beginning of the month, you have plenty of time to peruse and pick your favorite recipe. And you won’t be feeling unprepared at the last minute. Don’t worry, my friend, we’ve got this! So let’s dig in and discover some dishes that would make perfect Thanksgiving Sides and might even help you start a new food tradition! I’ve tried to find a lot of variety for you here, but just know that the recipes are all fabulous! 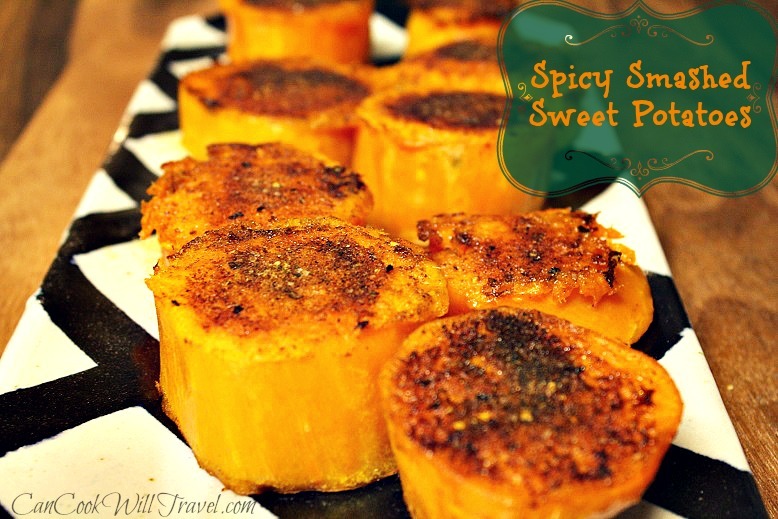 Oh how I love this Roasted Butternut Squash dish! I only made it last week, but I can already see how the flavors would be perfect for the holiday season. It’s anything but boring and is a healthy side to add to the dinner table. You toss the butternut squash with turmeric (which is really good for you) and smoked paprika (one of my favorite spices), you’re left with beautiful and smokey flavors that are perfect for Thanksgiving! I’m obsessed with Brussels sprouts. I’ve loved them since I was a kid, so it’s hard for me to pick a favorite sprouts dish. So I won’t. I’m giving you two options! 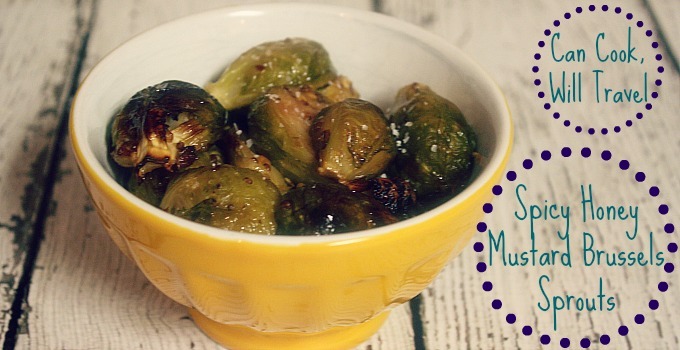 For a spicy, tangy, sweet version, try this Spicy Honey Mustard Brussels Sprouts recipe. It’s easy and literally had me doing a happy dance with each bite. 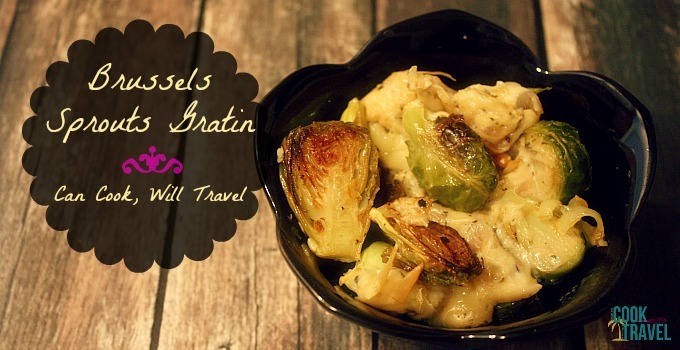 Now if you’re more in the mood for a casserole but you don’t want anything heavy or that you’ll feel guilty eating, this Skinny Brussels Sprouts Gratin is a fabulous option. This dish feels decadent and rich, yet it has only 1/2 tablespoon of butter and with Gruyere cheese you can use less cheese but maximize the flavor. Oh I should make this again! 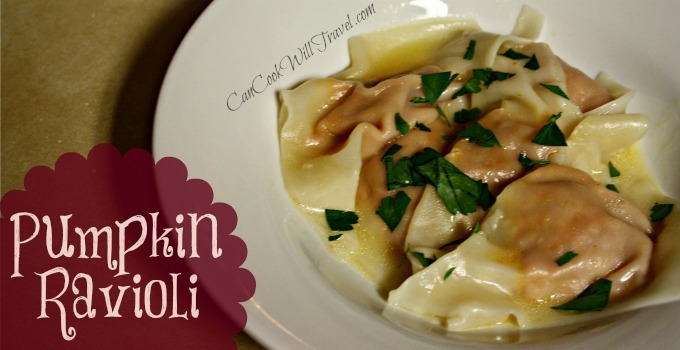 You think of pumpkin pie for Thanksgiving, but what about Pumpkin Ravioli?! I definitely could see that this could make a fun, new Thanksgiving tradition. The ravioli is just a little canned pumpkin, Parmesan and salt and pepper. Then fill up wonton wrappers and seal them well. Boil for a couple of minutes and sauce it up with a butter and chicken broth sauce so it stays nice and light. 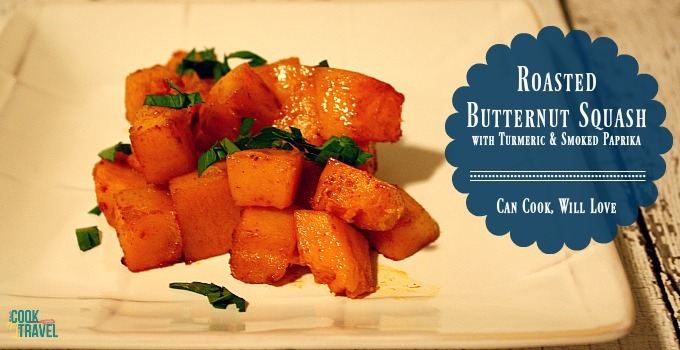 This dish is also great after Thanksgiving when you have leftover canned pumpkin that you don’t know what to do with! 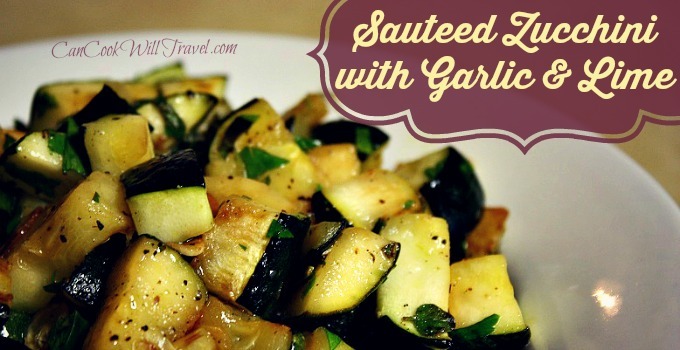 I adore this Sautéed Zucchini with Toasted Garlic and Lime side dish. I think about it a lot when I want to cook zucchini. What I love is that it’s really light and healthy but is crazy flavorful. So if you want something to help keep your food from feeling too heavy, this is a great option! This recipe for Lemon-Dill Green Beans is another side that would be a great choice if you’re not wanting to have sides that are too rich. 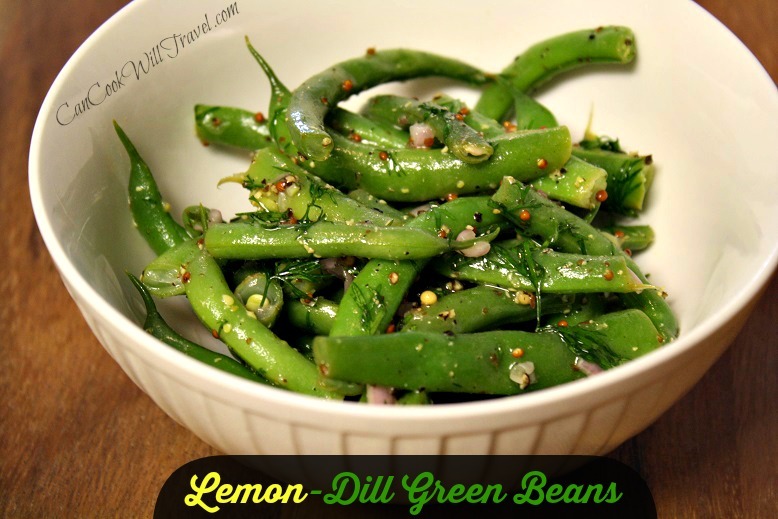 I really love fresh green beans and cooking them lightly and tossing with lemon and dill makes for a bright and fresh dish that you’re sure to love! 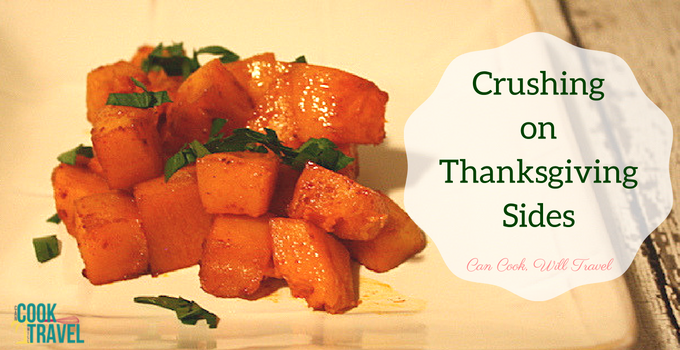 I think sweet potatoes could be the official Thanksgiving meal veggie. But if you want to amp up the flavors of your sweet potato side dish, then you MUST try these Spicy Smashed Sweet Potatoes. You basically will boil the potatoes until they are tender enough to “smash” a bit. Then top them with a fantastic spice mixture and bake. I would make these right before you eat, because they are freaking amazing right out of the oven when the tops are still crispy. 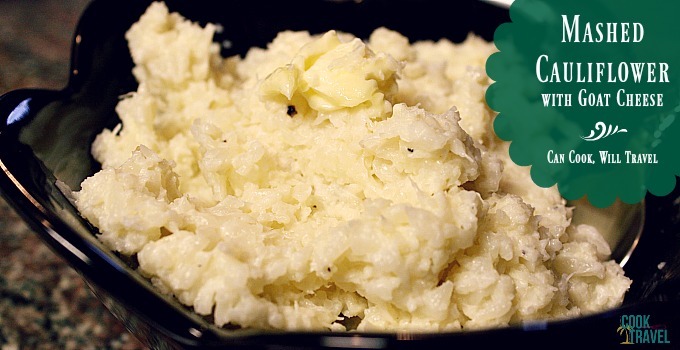 If you’re watching your carbs this Thanksgiving, then Mashed Cauliflower is a wonderful option for you. All you need is an electric mixer and this dish will come together in no time. Just steam your cauliflower in the microwave until it’s tender. Then mash your cauliflower along with goat cheese and a tablespoon of butter and seasonings. That’s it, and the goat cheese really adds a lovely twist to a much, much healthier version of mashed potatoes. Yum!! I do love to roast veggies. 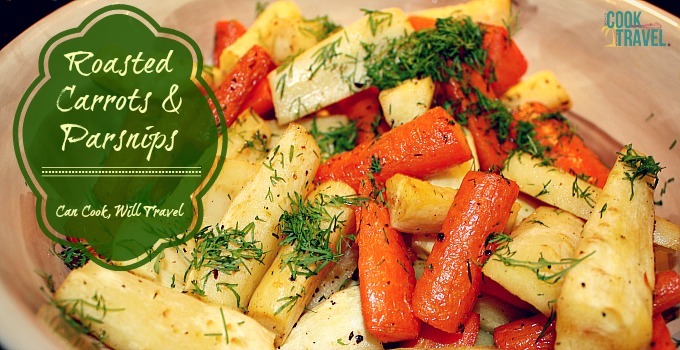 I find that you really maximize the flavor when you roast them, and that’s why this Roasted Parsnips and Carrots dish was so fantastic. Honestly this could be a perfect side for any meal, but is a great option to keep it light but super flavorful over the holidays. I really think sides are the best part of Thanksgiving dinner, don’t you?! Everyone has their favorite Thanksgiving sides (mashed potatoes and turnips, I’m looking at you!) but I think it’s fun to try out new dishes each year too. After all, you never know which one might become your new favorite Thanksgiving dish! 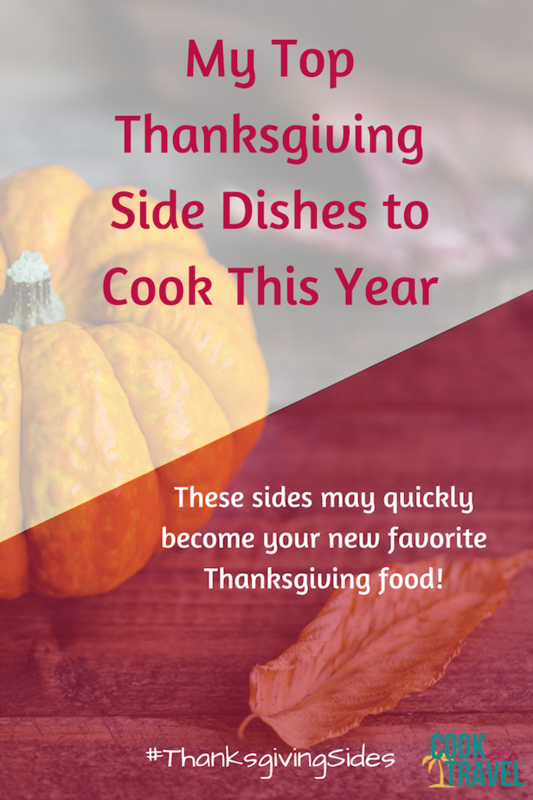 Let me know which Thanksgiving side is your favorite! I know I certainly look forward to the food each year. 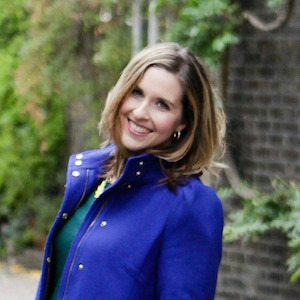 I’d love to know what your traditions are, so let’s chat! Comment and let me know! Stay inspired & Happy Thanksgiving! To make a long story short, I’m vegan, and Thanksgiving often leads to family conflicts about food. So many mashed potato and stuffing recipes have one or another non-vegan ingredient. My family and I eventually agreed that I should bring a few side dishes to our family dinner that I am sure I can eat instead of saying “Are you sure there is no butter in these mashed potatoes?” over and over again. I think I have just chosen that parsnip dish. It looks awesome. That’s awesome, Enzo! Glad I could help inspire you and hope you enjoyed the parsnips! Happy Thanksgiving!